[2018/03/01]Select the best T-amp in the world at Trends Audio! Raved by reviewers, audiophiles and music lovers worldwide, the Trends Audio TA-10 Amplifier is widely considered the best sounding and the best value among Class-T Amplifier ! This potent little handful is quickly becoming a global computer audio phenomenon. 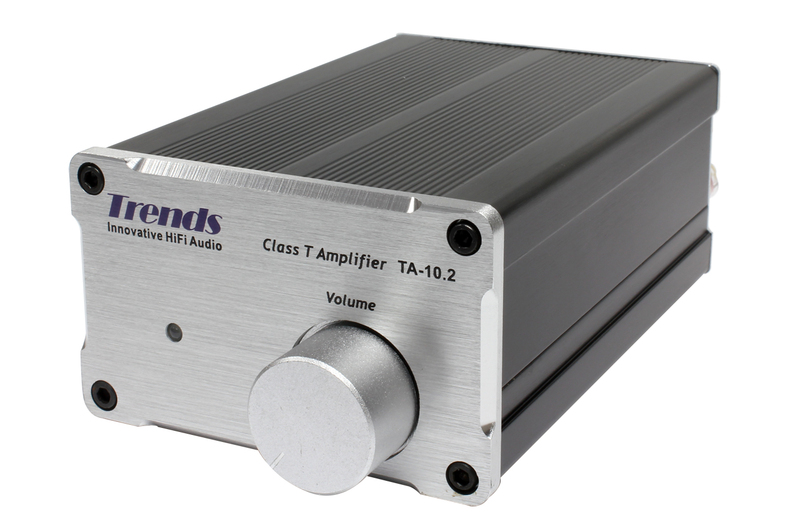 10 reasons to select new Trends TA-10.2 Class-T Stereo Audio Amplifier ! User selectable as power amplifier or integrated amplifier. Separate AC adapter design minimizes interference. Built-in over-current & over-temperature protection. The best Tripath Amplifiers for connecting your smartphone. Continues to be the most awarded and recognized T-amp in the industry. 30 days in-home audition guarantee. Roger Kanno, GoodSound.com. Read More... "a taste of the high end, and at a ridiculously low price..."
Hearing is believing! 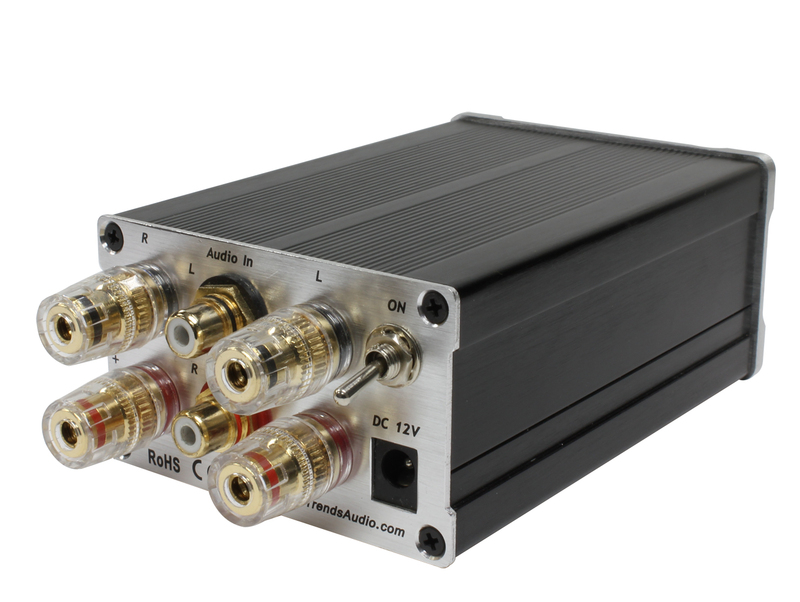 Start US$149, Trends TA-10 Class-T Stereo Audio Amplifier will be your best Audiophile Gifts in coming Easter.Please Contact an Authorized Trends Reseller or Trends Audio Sales,alternatively you may Login to the Customer Area and order TA-10.2 Class-T Stereo Audio Amplifier today. Innovative audio product Trends PA-10 gives all functions of headphone amp. & preamp as well have fun tube rolling. The pure class-A circuit and low voltage hybrid (tube/transistor) preamp provides audiophile quality sound, compact size, and easy/safe DIYer accessibility. ONE bi-triode 6DJ8/6922 or 12AU7 tube as voltage amplification and TWO MOSFETs as output driver which perform the warm, comfortable tube sound and in addition, guarantee the high fidelity & sufficient driving power to the next power amplifier stage. Ghislain Prugnard at French What Hi Fi Magazine Read More... "C'est certainement un des meilleurs amplificateurs pour casque que nous ayons ecoutes ces demiers mois.. "
Hearing is believing! Please Contact an Authorized Trends Reseller or Trends Audio Sales,alternatively you may Login to the Customer Area enjoy our special offer for Trends PA-10 Tube Headphone/Preamp. [2017/11/30]Trends Audio unveils TA-10.2 Class-T Stereo Audio Amplifier with Elegant Look & unique Tripath's TA2024 IC. Hong Kong, November 30, 2017 - ITOK Technologies Ltd's innovative Hi-Fi brand "Trends Audio" (www.TrendsAudio.com) today unveiled its new innovative Hi-Fi product - Trends TA-10.2 Class-T Sterro Amplifier. It is upgraded with stunning 4mm front interface and bundled with a special 3A power adaptor at new retails price US$149. The re-organized the sockets layout of the back panel which provides a more convenient audio cable and speaker cable connections as well support bigger and high-end cables. TA-10.2 applied better quality ALPS volume pot and the lowest LSR & highest ripple current Rubycon MCZ series tank capacitors as the power filtering capacitor which best suit the switching PWM characteristic of class T (class-D) amplifier as well the input coupling capacitor uses the audiophile-grade ¨Trends〃 MKP capacitors. Building on the success of the Trends TA-10 Series, the Trends TA-10.2 delivers Trends Audio stellar performance in a high end system. The Trends TA-10.2 features Trends Audio's revolution technology. Though the product is only in a palm size, the sound quality is audiophile grade. Yet, the price is only one fifth to one tenth of the same quality. "Besides applied Tripath's class-T technology, Trends TA-10.2 also put much effort and applied much proprietary techniques into the circuit design, components matching, sound tuning and proves how much quality is hidden inside the Tripath TA2024 chipset" Trends Audio's Marketing Manger David Ho said, ¨Though the design and the material of Trends TA-10.2 Class-T Stereo Audio Amplifier is high-end, the price is still popular. we want to let more people to enjoy the high-fidelity music, especially youngsters. So, we set the minimum price for this edition〃. Since the release of Trends TA-10 Class-T Stereo Audio Amplifier in 2006, Trends has received many prizes from Hi-Fi Magazine and Hi-Fi community worldwide. Trends Audio's products have become legendary for their compact design, performance and reliability in high end audio market. [2017/11/10]Select Trends Audio Products in coming Black Friday Sale! - high end but not high priced audio products. - the Great Audiophile Gifts For 2017. - the Best Class-T amp. Products. - the Tube headphone/preamp with a very affordable price. - a good-sounding, compact tube-and-solid-state amplification system. - an affordable Bi-amp audio system. - the most cost-effective Hi-Fi System & audiophile cables. Take a look for Trends Audio Products in Black Friday Sale! [2017/11/06]Enjoy our Black Friday Sale for Trends UD-10.1 Lite USB Audio Converter! 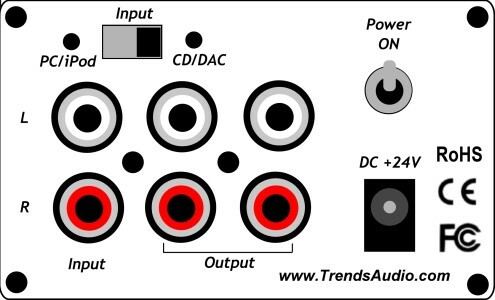 Bypass your sound card and make your PC/Mac a high-end audio source! The Trends UD-10.1 Lite USB Audio Converter delivers unmatched price and performance in an audiophile-grade USB transport! 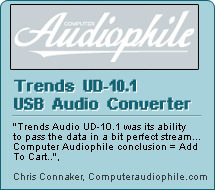 These are the four main uses for the Trends UD-10.1 Lite USB Audio Converter. The Trends UD-10.1 Lite USB audio converter plugs into your PC/Mac's USB port or Smartphone and Tablet with a OTG cable and lets you connect your computer, Smartphone and Tablet to your Hi-Fi or Home Cinema system easily, and with high sound quality. Nick Whetstone at TNT-Audio Read More... " It's certainly one of the best, and most cost-effective ways to start experiencing PC audio! " Start at US$89 and Trends UD-10.1 Lite USB Audio Converter will be your best value for the computer-based recording or playback system.Please Contact an Authorized Trends Reseller or Trends Audio Sales,alternatively you may Login to the Customer Area and order Trends UD-10.1 Lite USB Audio Converter today. [2017/11/05]Team up with Trends Audio in coming Christmas Sale! - Expand Your Hi-Fi, iPhone-Fi and Head-Fi business. - Boost your sales in coming Christmas. - Look for the Best Class-T amp Product for selling. - Capture youngsters to join into Hi-End market. - Help your clients setup an audiophile systems at home or office. - Find True audiophile-grade audio products with a very affordable price. Combining the acclaimed Trends TA-10.2 SE power amp. 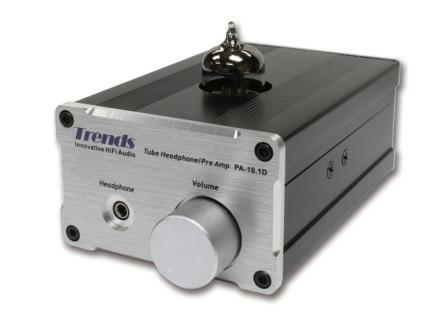 and Trends PA-10 Tube Headphone/Preamp., Trends Combo makes the perfect way of integrating your CD player, desktop, iPhone/iPod/iPad or Smartphone into your audio system. Sound quality this good is now available in a size and price that you can afford, and is no longer the exclusive domain of larger "audiophile" systems. Here’s what industry expert Dr. Richard Varey is saying about Trends Combo of Trends TA-10.2 SE Power amp. and Trends PA-10.1D Tube Headphone/Preamp. "...Wannabe audiophiles and natural tinkerers will love this cool entry-level duo,"
"...And that doesn’t mean cheap in the sense of poor quality, rather it’s about getting best performance within a small budget and just plain value for money. I’ve found some innovative and some clever, often simple products that deliver big time but don’t cost a lot. Trends Audio have an extensive range of products that seem to fit my criteria, and having already tried out a single valve headphone amplifier and pre-amplifier unit, it made sense to see what the matching power amplifier could do. " "...It truly is surprising just how lush and present the music sounds through this amplifier. I ended up driving my Sachem monoblocks and large Audio Pro Avanti 100 DC towers with this preamp, and most satisfying it was, too. The Avantis have three drivers including an ‘ace-bass’ powered woofer." "...It feels totally cliched to say that this is a small product producing a big image of the soundstage, but that’s what it is. This amplifier combo gives a truly surprising presentation that is highly satisfying. 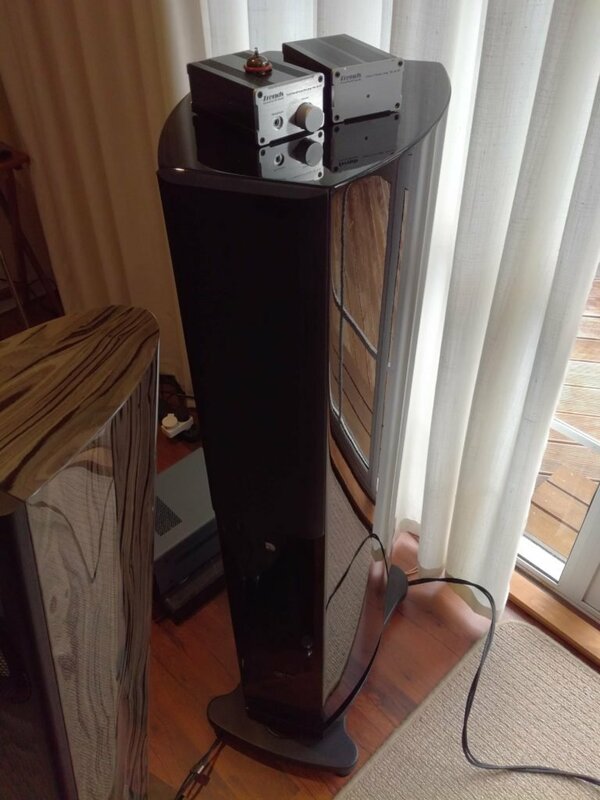 When using this as my main system in my decent-sized listening room, I had no problem with volume and the sound quality was very good and highly listenable. Music is presented realistically with full-bodied soundstage, dynamics and nuance"
"... It’s clearly a strong contender for entry into low-power compact systems, portable even, audiophile listening in several versions, with tweaking and upgrade options and a certain character that some will find appealing." 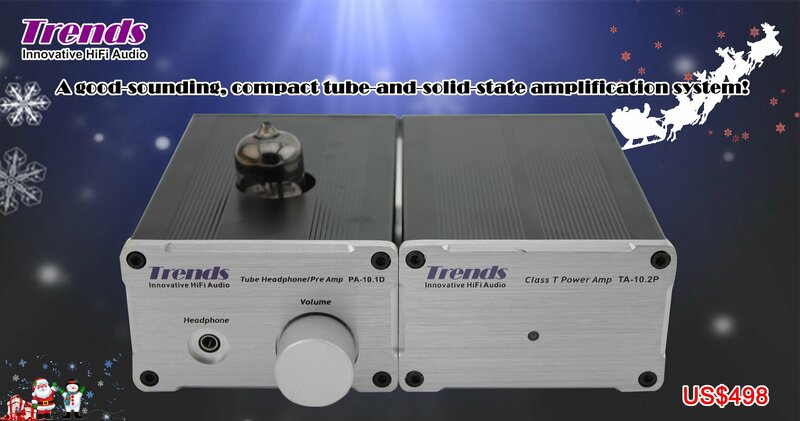 Start at US$498, Trends Combo will be your best value for the tube-and-solid-state amplification system in the market.Please Contact an Authorized Trends Reseller or Trends Audio Sales,alternatively you may Login to the Customer Area and order Trends TA-10.2 SE Power amp. + Trends PA-10.1D Tube Headphone/Preamp. today. [2017/10/17]"TA-10.2P SE,a great bass and a very good mid-range and a wide sound-stage ", raved by a customer in Australia! "...I received your TA-10.2 P SE today with the 0.47m interconnects thank you. I immediately plugged them into my system. And even though the amp was cold or straight out of the box ie. not warmed up it sounds really GREAT. It’s a very fine amplifier with a great bass and a very good mid-range and a wide sound-stage. It is also very rhythmic. It had no problem whatsoever driving my floor standing Sunflower Redux speakers. thanks for developing such a great power amplifier. " Hearing is believing! Start US$199, Trends TA-10.2P Class-T Power Amplifier will be your best Audiophile Gifts in coming Christmas.Please Contact an Authorized Trends Reseller or Trends Audio Sales,alternatively you may Login to the Customer Area and order TA-10.2P Class-T Power Amplifier today. [2017/10/03]Enjoy the music with Trends Audio products in Mid-Autumn Festival ! Enjoy the tube rolling and easy setup of Bi-amp audio systems with Trends PA-10.1D Tube Headphone/Preamp(Dual output). 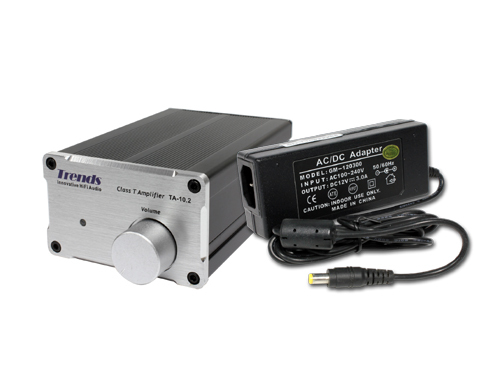 An innovative audio product gives all functions of headphone amp. and preamp. Trends PA-10.1D Tube Headphone/Preamp provides pure class-A circuit and low voltage hybrid (tube/transistor) preamp provides audiophile quality sound, compact size, and easy/safe DIYer accessibility. PC/iPod: Support Desktop PC, iPod, Smartphone, Tablet and any small output devices. Ghislain Prugnard at French What Hi Fi Magazine Read More... "C'est certainement un des meilleurs amplificateurs pour casque que nous ayons ecoutes ces demiers mois.."
Hearing is believing! 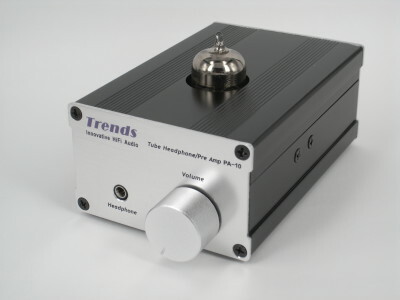 Please Contact an Authorized Trends Reseller or Trends Audio Sales,alternatively you may Login to the Customer Area and order Trends PA-10.1D Tube Headphone/Preamp. today. [2017/09/07] Select High End But Not High Priced Audio Cable at Trends Audio ! Trends CQ Series Audiophile Cable applyss Japan made Analog Interconnect Cable and professional grade Trends 24K Gold-Plated plated connectors. The cables are insulated with Foamed Polyethylene, and wrapped together by a double screen - AL-Mylar foil and Tinned OFC braided shielding to reject RF & EM Interference. This cable offers very wide frequency response and superb bass response.Our innovative design and specialized connectors ensure the highest accuracy and the best sound quality. Hearing is believing! Please Contact an Authorized Trends Reseller or Trends Audio Sales,alternatively you may Login to the Customer Area and order Trends CQ Series Cables today. [2017/09/02]Just US$699 and setup a good-sounding, compact tube-and-solid-state amplification system! [2017/08/25]Start US$225 and enjoy the tube sound with Trends PA-10 Tube Headphone/Preamp. [2017/08/11] The affordable way to stream digital audio to your stereo with Trends UD-10.1 Lite USB Audio Converter. [2017/07/28]Select two set of Trends TA-10.2P Class-T Power Amplifier for setting up Bi-amp audio system!